Oh and Zaza, your team has just been beaten 4-1 in a cup quarter Final, **** Off with the swapping of shirts with Slaten. That was an utter disgraceful thing to do. He should never be allowed to play for us again after that alone. Awful performance and in the end very lucky to only lose 4-1. Another cup dream goes begging. I would agree Feghouli 2 for first half, 2nd half I thought he deserves a 6 had two great chances to get us back in the game didn’t get them but signs he was improving. the defence were woeful Fernandes had a good game but was responsible for the first goal he missed Mkhitaryans run, the second and third goals the whole defence were asleep and the 4th they had given up for. I don’t usually blame Slav but despite picking a good team they never looked motivated, they didn’t look like they were pressing as a team and lacked desire and belief, the goal we scored against the run of the game should have fired us up but again we looked half asleep in the second half. 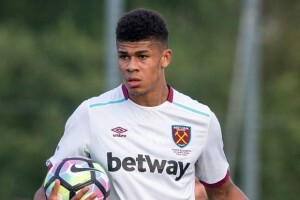 If we don’t produce against Arsenal and the Mickey Mousers I would definitely be asking questions of whether Slav is getting the best out of this bunch of talented players and whether he should be replaced before the winter transfer window because tonight was very worrying other than Fletcher, Fernandes and Obiang. Feghouli deserved a ZERO. It was like watching someone who had conned their way onto a football pitch despite ever actually having kicked a ball before. You thought he deserved a 6? Jesus Wept. You need to get a grip Stinger he was better in the second half, we all have our own opinions you don’t agree with mine no worries it’s only an opinion, if you read it I agreed in the first half he was useless in the second half as the game went on in my opinion he improved specifically after Antonio went off and he was played as a winger in his natural position. Just returning home from tonights woeful performance and can’t remember seeing a West Ham side lacking any kind of fighting spirit. We should of been 4 down by half time. Can somebody remind me the last time Ogbonna sprinted or broke into a sweat! !The guy is an absolute joke. The number of times his mistakes or lack of awareness have cost us goals this season is untrue.There was a point in tonights game he backed off Ibrahimavic that much he was nearly in the crowd with us! Would be interesting to see his opta report reckon Adrian covered more ground and made more tackles than our Italian International. Don’t start me on feghouli he makes tore look fast and slim!! Agree with you NorthernHammer about the lack of fight, do you blame the players or the coach ? It seems to me that every match this season has been a similar story, in honesty last season we got away with a lot of really poor starts also. Look, I’m the same as fxtwhu… More of a reader of your blog than a commenter. But tonight we were simply bossed off the pitch. Right now I feel we have far too many passengers in the side that aren’t pulling their weight. On Sunday watching us against Spurs I singled out Payet as the man who wasn’t pulling his weight. He done an interview this week on the club website saying he wants more of the ball… If you actually watch him off the ball he is so weak in defence it’s embarrassing, he lets people run round him and doesn’t even bother to try and tackle. 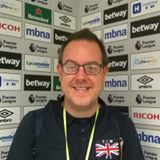 Tonight I hold my hands up and say we were outplayed, but my god… When you think what sort of quality United can bring off the bench to change the game compared to what we have… Gold and Sullivan seriously need to look at themselves and Bilic and think what is going on. I’ve been a season ticket holder for 10+ years now and as the rest of you I’ve been through the worst. The worst for me being 07-11 but last season I really thought we could build on something. We had a real opportunity to build on a great squad with great spirit to make something good, instead we’ve signed 15 average freebies… Are these down to Bilic or Sullivan? Who knows. The only gem that stands out is fletcher and I’m happy for the kid that he got his first goal tonight against his old firm. I really hope we put tonight behind us and crack on Saturday the same way we did against Spurs and United (on Sunday) and give us something to cheer about come May instead of that feeling we’ve had for years. I know it’s been a rant but as I said, I don’t comment on here but wanted to speak to all of you!! !